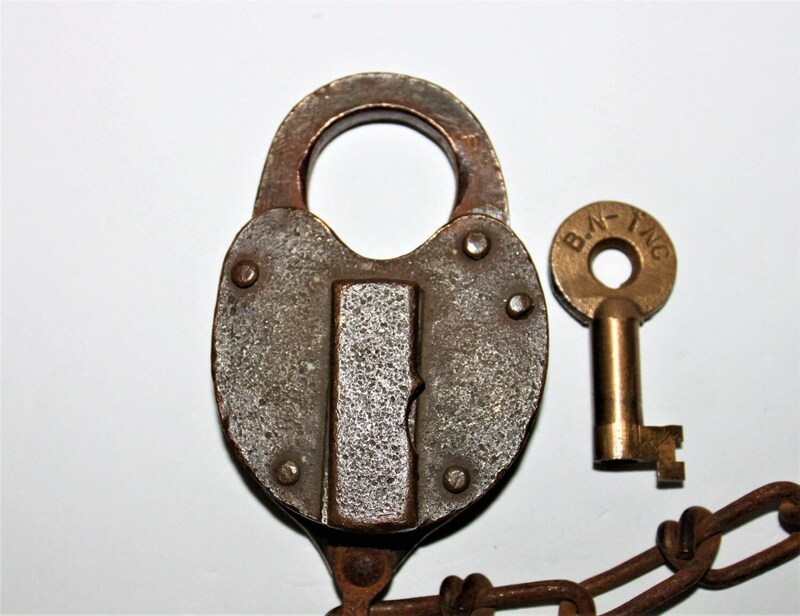 We have for sale an Vintage Brass Birmingham Southern Railroad Padlock w/ Key. 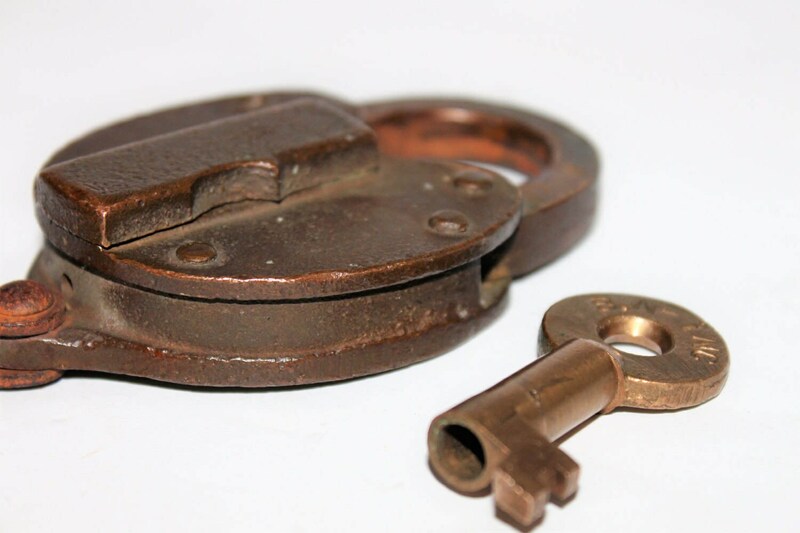 This is a beautiful antique brass padlock made by the Adlake lock company with brass key. 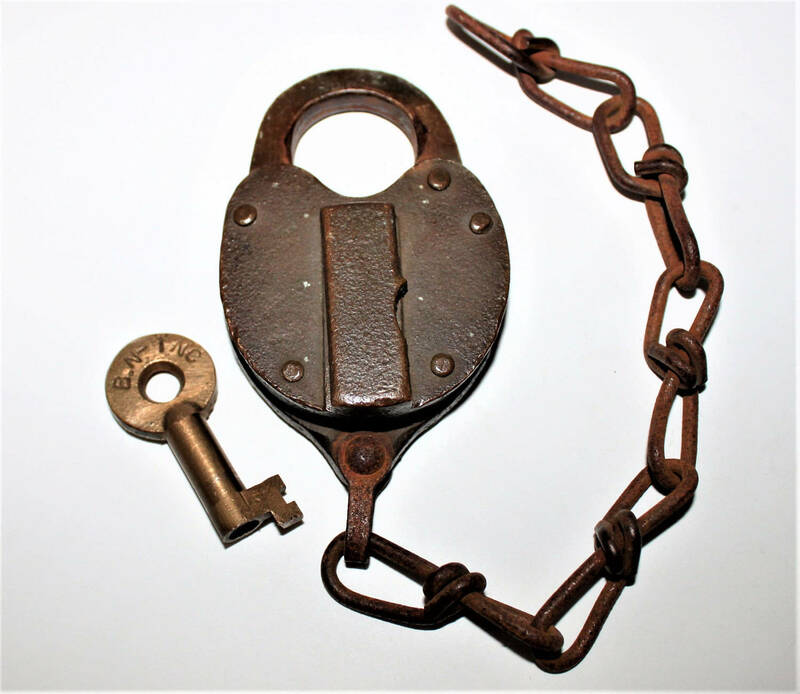 The key is stamped B.N.-INC on one side and Adlake on the other side. 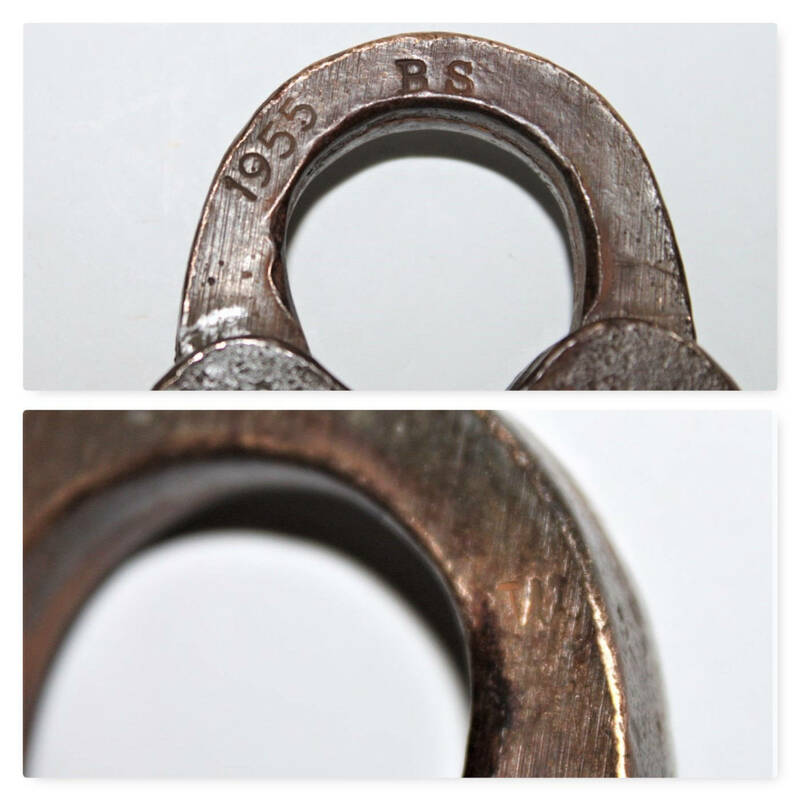 The lock is stamped 1955 (I believe this is the date put into service) B.S. (Birmingham Southern) on one side and W on the other side. 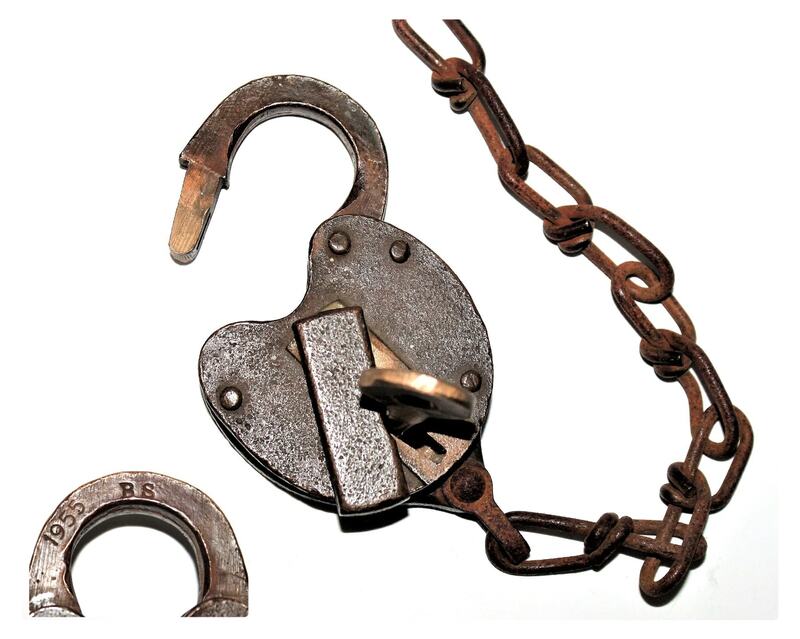 The chain is to secure the lock to the object being locked so when unlocked it is not misplaced. Condition; Very nice fully functional, some dents and dings from use, lots of patina. 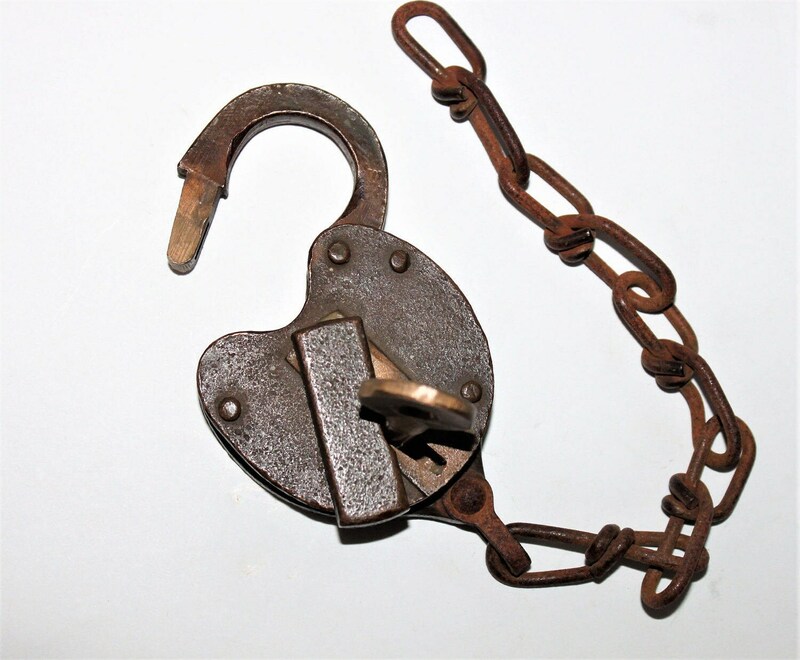 We are asking a low pice on this item due to the key is not original to the lock.